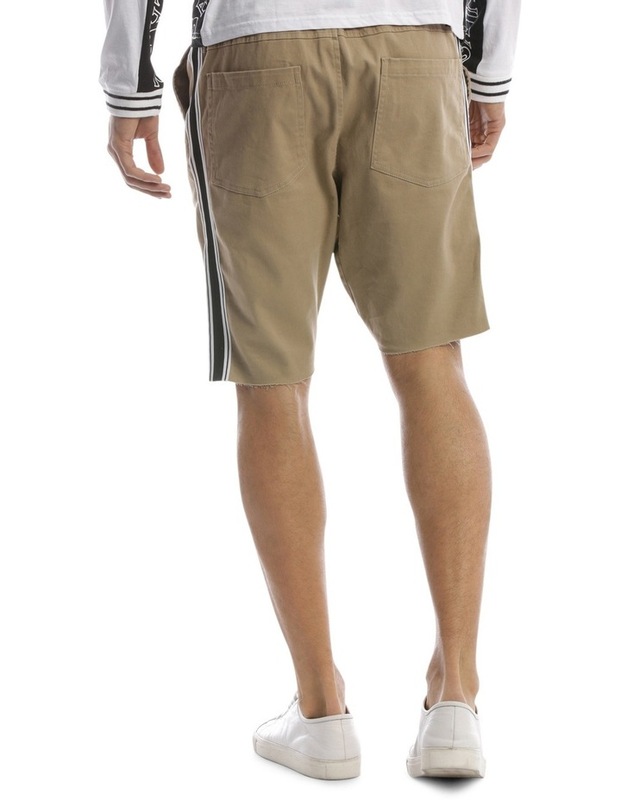 The St.Goliath Stadium Short is a elastic waist short. 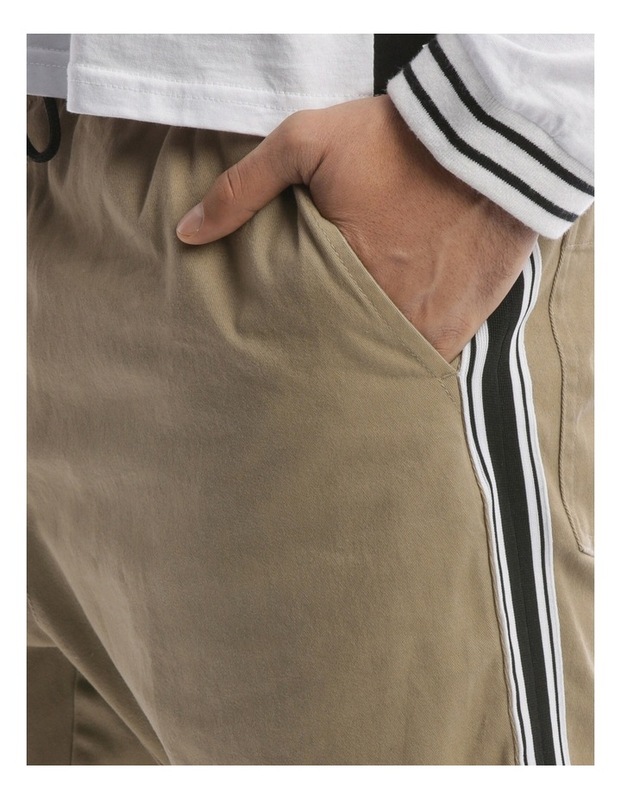 Made from 97% Cotton 3% Elastane with a garment wash for soft hand feel. 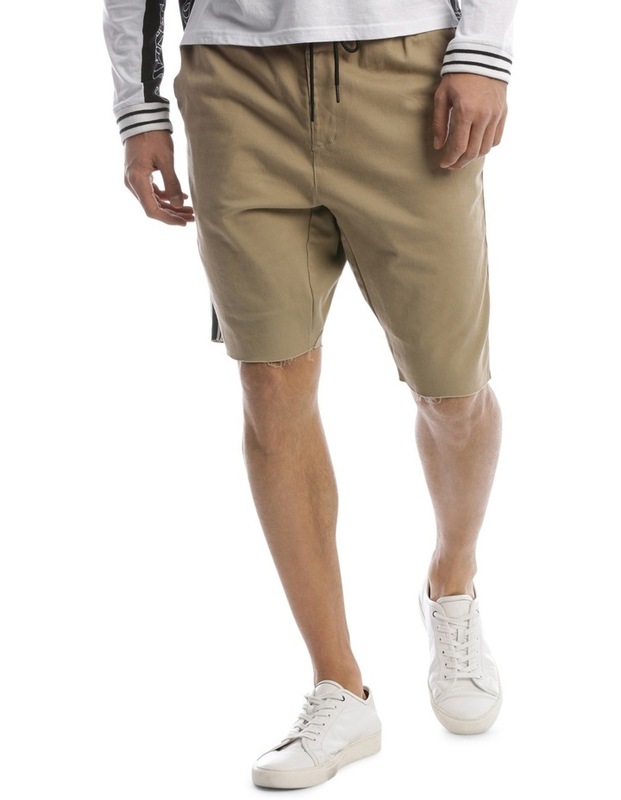 The short features side tape detail, drawcord and raw hem leg opening.